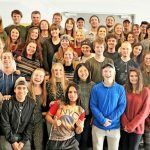 Youth With a Mission (YWAM) Rogaland in Norway recently hosted a Kairos course with no less than 56 participants. What was also interesting in this course was that six languages were used in it! 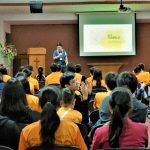 In late December 2017, more than one hundred young people gathered together at Glory Presbyterian Church in Singapore for their annual church camp, only this time, with a twist. Not just one or two but a total of 7 different countries were represented by the 11 participants who joined the recent Spanish Kairos in Finland! But this was not only true for the participants. 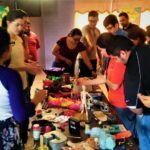 Last month Youth Kairos took off to great excitement on US soil in Phoenix, Arizona with young facilitators and head facilitators from the USA, Brazil, Australia, Mexico, and the Dominican Republic spearheading its first run. 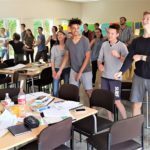 The following is an exciting update on the growth of YK, written by our (SM) Youth Mobilization Coordinator in Europe, Timo Raassina, and Youth Kairos Head Facilitator, Joanne Graver. 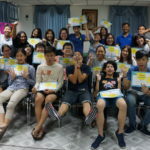 Thailand saw its first ever Youth Kairos in virbrant Bangkok in late May, with a facilitating team representing North, Central and South Thailand—the youngest facilitator being eighteen years old! 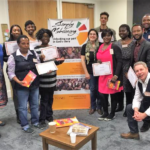 A Kairos course in North England finished with a flourish as nine graduates learned to integrate crucial mission truths into everyday life. 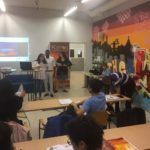 Youth Kairos kicked off in Sri Lanka early this April to an enthusiastic response from its eighteen pioneer participants, representing both Tamil and Sinhalese people groups of Sri Lanka.